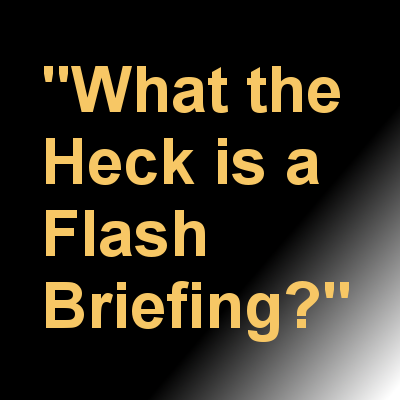 WHAT is a flash briefing? 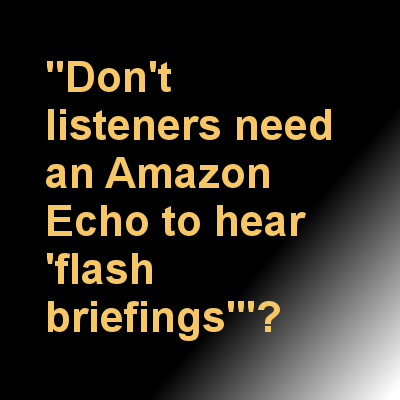 Flash briefings are short audio presentations that are usually listened to on smart speaker services like Amazon’s Alexa. Often they take the form of news updates, personal musings, quick stories, tips, etc. 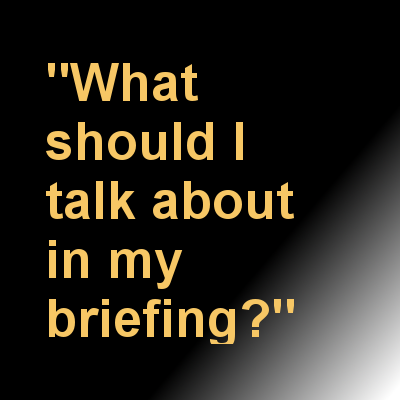 Flash briefings give you the ability to be a part of your listener’s lives nearly everyday. If podcasts are considered “intimate” because you are in your listener’s ears every week, flash briefings take it to a whole new level! You are literally part of your listener’s EVERYDAY LIVES. Oh….did we also mention that you can listen to flash briefings on the Amazon Alexa app. Which means if you have an iOS or Android based phone or tablet, YOU DON’T EVEN NEED A SMART SPEAKER! RECORD FIVE QUICK BRIEFINGS A WEEK. Each should be no more than 5 minutes, preferably closer to 2-3 minutes. We can even advise on how best to record them. SEND IT TO US. We will provide you with a shared folder in which to drop the recordings. WE TAKE IT FROM THERE! Seriously, we’ve got this! Hosting for your flash briefing. Creating and maintaining a podcast (rss) feed for your briefings – $50/month extra. I want a flash briefing. Let's do this! Copyright 2019 by Neighborhood Stage Productions, LLC.